On this page of this site "Revelation13.net: Astrology for the New Age, Prophecies of the Future", there are some photos I took in Rhode Island in 2003, at the Mount Hope Indian site at the Haffenreffer Museum of Anthropology, of Brown University. Also, there is a photo below of the Viking Tower in Newport, Rhode Island. This page continues the sacred places discussion of this site, where mystical, sacred, New Age, religious, and other places of interest are discussed and there are photos. Photos on this page by T. Chase, 2003. 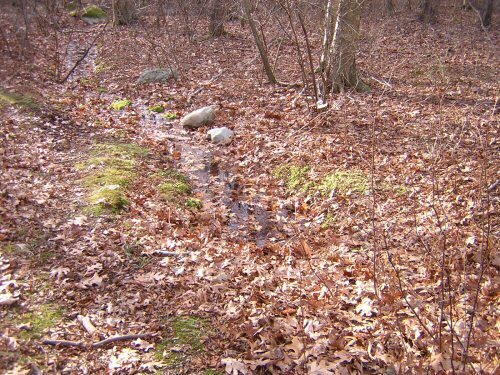 Below are photos taken at the Mount Hope Miery Swamp, of the memorial stone there and Cold Spring. It was at this site on August 12, 1676, that Indian leader King Philip was shot by Alderman, another Indian who was helping English soldiers led by Captain Roger Goulding. King Philip had waged war against the English colonists and had tried to drive them out of New England. King Philip had until then evaded the English soldiers hunting for him, but here he was shot at his camp site. His death was considered to be a major victory for the English in King Philip's War. 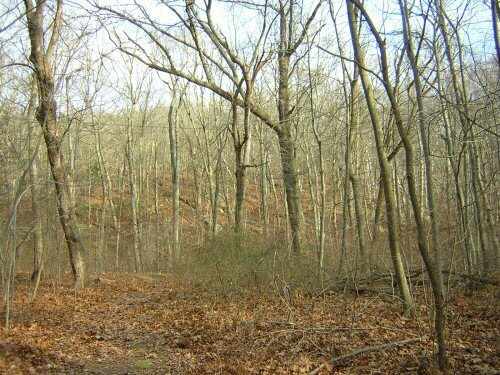 This place being called Mount Hope, it was a place of hope for the English colonists at that time, with the death of King Philip. The fourth photo is of Mount Hope taken from Miery Swamp. 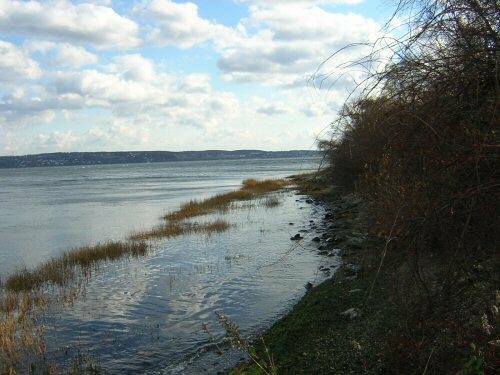 Als, below is a photo of the Mount Hope shore. Actually Mount Hope is a hill rather than a mountain. 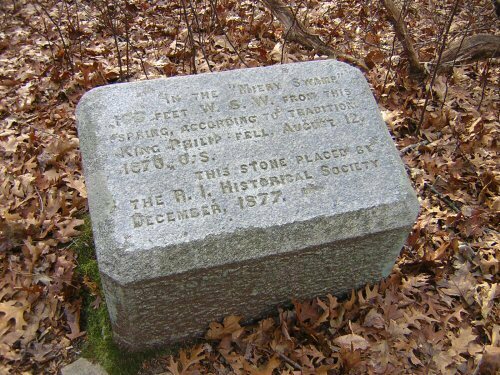 This site of King Philips's death is considered to be a sacred site by local Native Americans. It certainly is a very pretty spot, with a spring gushing out fresh water, you can see why King Philip chose it as a camp site. 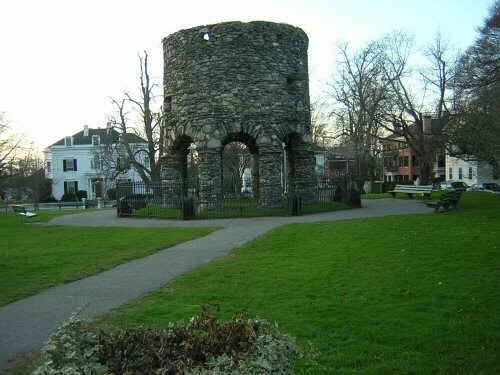 Below is a photo of the Viking Tower in a park in Newport Rhode Island. Some have thought it was built by Vikings, since there are similar structures in Scandinavia, although a majority opinion is that it was built in colonial times. "Revelation13.net: Astrology, Prophecies of the Future"